Source: This essay was originally published in the book “Think Success, Essays on Self-help” by Jayaram V under the title, “How to Improve Your Memory," and reproduced with publisher's permission. Some things we remember for years, and some we forget quickly. Some people leave a lasting impression on us, and we remember them for long. However, sometimes we do not even register mentally their names. Why is it that our memory does not always work uniformly? Why do some people have better memory than others do? What makes our memory stick? We will examine these issues in this discussion. Good memory is not a special gift, except very rarely. Some people are born with photographic memory, also known as eidetic memory, who can recollect images and sounds with extreme accuracy. People born with certain mental disabilities are often endowed with exceptionally good memory. So also are those who can recollect perfectly what they read or listen just after one or two attempts. However, they are exceptions. Good memory is the result of organized and conscious effort, which is motivated by the need to know and remember or to use it for specific purposes. The function of remembering is a natural, mental process, but the effort to recollect what is stored in the mind is both an art and science, which can yield wonderful results through persistent effort. An awareness of the factors that contribute to better memory and a little practice can vastly improve our ability to deal with the information that we have to process in our daily lives nowadays. There are two types of memory, short term and long term. Short-term memory is what you remember for a brief time and forget. Every day, we gather a lot of information about people, objects and events, and forget most of it after a while. The person you saw while crossing the road, the car that went by, the salesperson that knocked on your door and wanted to sell you a magazine subscription, or the birds that flew over your lawn while you were mending the fence, perceptions such as these catch your attention. However, they fail to register in your mind for long constitute your short-term memory. Unless you frequently use them, they do not become part of your long-term memory. You long term memory is what you are able to recall after several days, months or years. It is made up of strong impressions that have alternative associations and pathways in your neural network, which are difficult to erase. Your short-term memory is limited, whereas your long term memory is almost unlimited. Your short-term memory becomes long term, if it is retained for long and frequently used. There is nothing wrong with short-term memory. It is the most convenient way for your brain to organize information. Your mind holds the information in short term memory and waits to decide whether it is worth moving it to long term. If the information is useless or not likely to be used, it will be forgotten or pushed into the subconscious. It is important to note the difference between memory and recall. They are not the same. Memory is what you store in your brain. Recall is what you remember out of it. All your experiences and perceptions are stored in your brain. They constitute your memory, some of which may be buried so deeply that it becomes subconscious and unavailable, while some remains in the active part of your brain and is easily accessible. 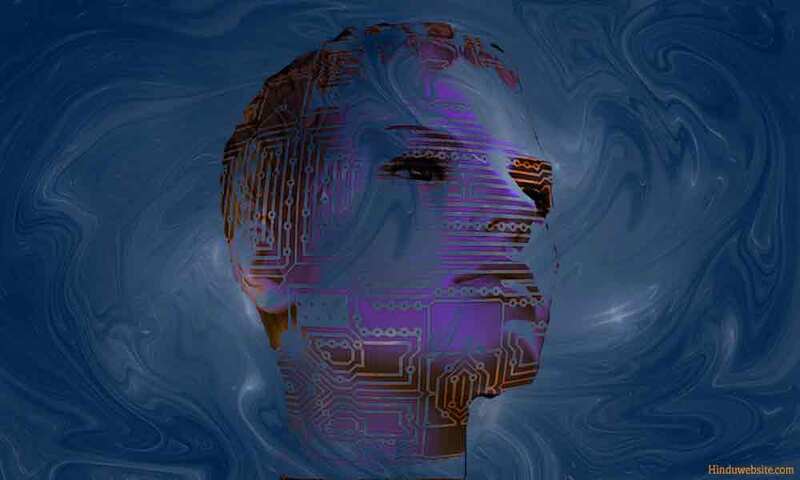 Your ability to recall what you remember does not depend upon how much information you have stored in your brain, but upon how that information is interconnected in your mind, and how your brain has built the neural network to store that information. In other words, mental associations and neural networks play a vital role in your ability to remember and recall. As mentioned earlier, you are able to recall only that part of your memory, which you frequently use or remember. People differ from one another not much in their capacity to store information in their brains, but in their ability to recall, which depends upon a number of individual factors and lifestyle choices. No one can tell accurately how much information an average human being can hold in his brain. The mind keeps expanding as long as a person is alive and mentally active, as perceptions keep flowing in, and knowledge and memories keep gathering. If you store more information in your brain and make use of it, you will have an increased capacity to build and accommodate a larger and more complex neural network. A brain with a large neural network facilitates the higher functions of thinking, reasoning and problems solving, called the executive functions. Therefore, to improve our mental efficiency, we have to remain mentally active and keep learning. Presented below are the factors that contribute to good memory. With persistent effort, they can positively lead to improved memory in a perceptible way. This article is not about specific memory techniques that lead to improved capacity to remember or recollect long lists of information or numbers. It is about general factors, which contribute to good memory. If you want to know about memory techni-ques, you may read books that are available on the subject, some of which are listed in the last section of this book. You remember what you love. If you are not interested in something, you will not think about it or try to remember it. Studies show that we remember well what interests us, inspires us, excites us, and motivates us. If you are enthusiastic or passionate about something, or if you can relate to something strongly, you will remember it well. Similarly, people remember whatever that invokes their curiosity or touches them emotionally. For example, people do not forget their religious icons or spiritual experiences that invoke their religious fervor. They also least likely forget unique and strange experiences that invoke in them strong emotions. Therefore, to improve memory in any subject, you should have interest in it. Since we cannot be interested in every subject we want to know, it becomes necessary to cultivate interest in those subjects that are vital to our success and competence. Some of the proven ways to cultivate interest in any subject are, increasing your knowledge of it, making use of it, becoming familiar with it, and finding in it useful information, which can be related or associated with what you already know. You will not forget anything, in which your heart and mind are fully involved and when you are fully absorbed in it. Many first experiences are like that. We will not forget them easily. We remember them for long or recollect them easily because when they happen our senses and minds remain actively engaged with the experience or the perception. However, as situations become routine and repetitive, we begin to ignore them. This teaches us an important lesson that to remember anything we must pay full attention to the world outside and see things clearly, letting our senses and minds participate in it without distractions. Our minds are easily distracted. Therefore, we rarely pay attention to the happenings around us. Our brains are conditioned to filter a lot of perceptual information and store only what is necessary for our survival. They do it habitually to conserve energy and prevent information overload. Many factors facilitate it, such as your beliefs, prejudices, expectations, preferences, and preconceived notions. Our perception is also influenced by our states of mind. If you are unhappy, depressed, bored, or lost in your own thoughts, you will not pay attention to the life around you with the same interest and enthusiasm when you are happy. Therefore, to improve your memory through better attention you should not only engage your mind and senses fully but also remain in a positive state of mind. The process of observation consists of four essential elements, namely concentration, focus, creative pause and conscious appreciation. Concentration and focus serve the same purpose but in different ways. In concentration you fix your mind upon a single object as if nothing else matters. In focus you may widen your attention to see not only the physical features of the object but also its related aspects such as its value, uniqueness, relationships, etc. In concentration your mind acts like a laser beam, whereas in focus it acts like a searchlight. The creative pause helps you to absorb the perception into your consciousness and let it settle down in your memory. In conscious appreciation, you evaluate your perceptions either consciously or habi-tually to know whether they are useful, meaningful, and relevant to you. You can improve the quality, intensity, span, and duration of your attention through mindfulness, in which you have to remain in the present and actively engage the mind and senses in the process of observation, without judgment, preference and desires. You have to pay attention to details and distinguishing features, using as many senses possible to have the experience stand out. For example, if you want to remember people look at their faces and remember the features that set them apart, with your mind in the present and fully focused. You remember what you understand or comprehend easily, or what makes sense to you. If you read a subject for hours, but do not make sense of it, you will neither understand it nor remember it. You may remember the effort you made, the circumstances of it, and the accompanying emotions you experienced, but not what you tried to read, know, or understand. It is not because you lack the skills or intellectual ability, but because you cannot fit it into your current knowledge, thinking, and memory, and relate to it specifically. You may remember it mechanically, like some people who may memorize a poem or a whole passage from a foreign language without knowing its true meaning, but it will not stay in your memory for long. To remember any subject deeply and imprint it firmly in your mind, you must grasp its essential meaning and significance, by knowing the basics, words, ideas, concepts, and technical terms associated with it, using your cognitive skills such as thinking, reasoning, creativity, and intuition. You can facilitate it further and gain insight, by relearning, reviewing, analyzing, summarizing, discussing, rephrasing and paraphrasing. When you master a subject, it becomes a part of your long term memory, and you will be able to recollect it easily. The following are a few general and useful means to improve your comprehension. Read different books about the same subject. Gather information about the views and opinions of different authors and scholars about the subject you want to know. Evaluate them objectively. Think deeply about any subject you want to remember. Ask questions and seek clarifications. Explain to someone or discuss with someone. If it is a technical subject, familiarize yourself with the technical language and the fundamentals. Integrate the knowledge deeply into your memory by relating it to what you already know or to your own experience. Repetition is the most popular and tested method used by many people to memorize any informa-tion. Many students regularly practice it to stick important information in their memories before taking tests. Professionals and politicians alike practice it before they give speeches or participate in debates and discussions. Until the invention of printing press, repetition was the trusted method used by people to remember important information. It was practiced in India until recent times by students to remember religious texts such as the Vedas. Without a written script and proper writing materials, in those days it was the only way, by which scriptural knowledge could be passed on from one person to another and from one generation to another. Even today, repetition is the trusted method to memorize anything and still used by many students to secure good grades. You can use it to prepare for your speeches and presentations, score well in tests, or just to impress others with your knowledge and erudition. The following techniques are useful to practice repetition and memorize long texts, poems, lists, and quotations. Use pictures and mental hooks, like acronyms to remember the sequence in which information is organized. Write and rewrite several times what you want to remember. Use index cards and frequently refer to them. Record the information you want to remember and frequently listen to it. Review means doing a mental survey of what you have read or perceived. In review you may take a second look or go through the same information several times to refresh your memory or strengthen it. Passive review is a mechanical process, like repetition, in which your aim is to remember the subject rather than integrate it. In the active review, you focus upon the ideas and concepts in the material and do a critical evaluation, reexamining it and reevaluating it. In contrast to repetition, review is an intellectual process, in which you weigh the topic from different perspectives, study the pros and cons and develop an insight, which will connect it with what you already know. Review is useful to gain mastery of a subject, consolidate your memory, keep the neural network active, strengthen fading memories, convert short-term memory into long term, exercise your brain, improve your recall, and integrate your knowledge. When you review any information thoroughly, it becomes part of your memory. We remember what we frequently and repeatedly use. We may forget the name of the author of a book, or the product we saw in an advertisement. However, if we met that person or used the product, we may not forget it easily. You may forget a recipe you saw on the Internet, but if you use it to cook a dish and do it several times, it will stay in your memory for long. However, you may have a hard time trying to remember the ingredients, if you try to cook the same dish after a long gap. It happens because we tend to forget what we do not frequently use. Our knowledge and skills will deteriorate with time, unless we put them to regular use, since the mind tends to keep only useful information in the active memory and push the rest into the background. Therefore, another way to keep your memory intact is to frequently make use of your knowledge and skills. When you use information in real life repeatedly, it is integrated into your consciousness and becomes personalized. Hence, to retain your knowledge and mastery, you should keep using the knowledge in practical situations. For example, if you are learning a new language, try to speak and write in that language. If you are learning new words to improve your vocabulary, you should use them in your communication. Such practices strengthen your memory and improve your recall. Review and recall serve the same purpose, but they are different. Review is an intellectual process, whereas recall is a mechanical process. For example if you read a book and speak about its contents and your impressions of it in a descriptive way, it is review. If you list its chapter titles in a correct sequence, it is recall. In review, you examine one or more times comprehensively, analytically, or carefully what you want to remember by focusing on the main points. In recall you try to remember what you already know, by focusing on the details, the sequence or broad outlines, without doing any critical analysis or evaluation. Recall keeps your memories fresh, by repeatedly bringing them into your active memory. Frequent recall also helps you to retain the information in your long-term memory and keep it within your easy reach. You can improve your ability to recall any information by repeatedly paying attention, reading and memorizing same subject repeatedly, and mentally reminiscing over it. You may also use specific techniques called mnemonics to strengthen your memory, in which you organize information in easy-to-remember sequences, using acronyms, rhyming words and sentences, images, symbols, shapes, colors, or humor. They are mechanical techniques, which help you to connect small pieces of information mentally or through visualization around a central idea or object and hold them together for easy recall. Studies show that we organize memories in our minds by forming associations, whereby the memory of something may invoke in us memories of something else. For example, when we remember a person, we may also recollect many events and experiences associated with the person, or we may remember another person or several people, who may be known to both. Similarly, certain words, place-names, images, smells, memories, sounds and other objects invoke in us several thoughts, memories, feelings and emotions that may be either related or even unrelated to them. When we visit some places, which we visited before, we may feel nostalgic, filled with memories, feelings and emotions. When we remember someone's birthday, we may remember the birthdays we celebrated or attended in the past. We experience them because our minds store memories in a neural network, just as we organize information in a computer as files and folders, which can be accessed by other computers in the network having an access to it. When we recollect anything we activate a specific location in our minds, whereby not only that information but also all the related information stored there becomes active and accessible. We do not know exactly how the human brain manages all its memory and facilitates recall, but we know that it follows some sort of algorithm to facilitate both random search and sequential search so that one keyword or memory can invoke a number of memories as in case of a search engine. We can take advantage of this tendency of our minds to improve our memory, by actively linking the information we want to remember with the information that is already present in our memory. When you learn a new subject or topic, you can connect it with the knowledge you learned about it in the past. If the subject is new and you have never studied it before, you may connect it with something else by comparing and contrasting. For example, if you want to remember place names or people's names, associate them with familiar words or phrases that rhyme with them. When you meet people associate their names with their faces and physical features, so that you can remember their names and faces well. This technique is particularly useful if you are in the habit of remembering people's faces but forget their names. Another technique that you can use to practice association is the free association method, which is similar to catharsis and mind-mapping techniques used by many to generate new ideas or unearth hidden patterns. You can practice it in the following manner. Start by keeping a pen and paper. Pick up any idea, word, concept, or object, and start thinking about it. Allow your mind to flow freely, as you jot down whatever thoughts, memories and ideas that surface in your mind. At the same time, ensure that you will not let any judgment, preference, prejudice, analysis, criticism, or control interfere with your thinking during this phase, and you will let your mind move freely with the idea or the concept, even if some of it does not make immediate sense. You should keep doing it until you exhaust all the ideas and thoughts associated with it. At the end of the exercise, you may review what you have noted down to see whether you can recognize in it any meaningful patterns, associations, or creative ideas on which you can work further. This technique is especially useful in breaking your habitual and routine thinking, and find fresh ideas and solutions. You can use imagination, or creative visualization techniques to improve your memory. A large part of our sensory input is stored visually as images. Our memory depends a lot upon how quickly we can retrieve the images and bring them into our wakeful consciousness. We remember experiences and events that are unique, vivid, colorful, unusual, disproportionate, humorous, odd, absurd, or exaggerated. We can use this habit of our minds to our advantage and improve our memory by practicing visualization. Here are a few ways in which you can do it. Use visualization to exaggerate what you want to remember, whether it is an object, person or situation. Try to make it vivid, colorful, odd, or even ridiculous by adding, deleting, increasing, or decreasing its shape, size, color, looks, or any other prominent feature. Visualize yourself walking through an aisle in a shop or through a street and seeing the things you want to remember arranged in a specific order. You have to remember the setting and the order in which you saw the things. Later, when you want to recall the information, you can invoke the whole sequence and see the things as they were placed. Create mental maps to organize key ideas, related words and concepts, mapping their associations and connections. To improve your memory, frequently refer to them. Recollect important events and experiences in your life vividly, as if you are dreaming or seeing a mental film. Certain subjects like history, art, literature, and science are suitable for learning by visualization. Visualize the information you read and animate the people, ideas, and events associated with it. Visualize yourself as standing in an auditorium in front of a large audience, showing them your ability to recall a large sequence of numbers, lists and information, and being applauded by them. Our health influences our memory. A healthy lifestyle keeps the mind in good shape and contributes to good memory. Studies show that about 20% of the total body energy is consumed by the brain, of which a major part goes to keep the nerve cells or neurons to fire signals. If the body does not get enough nutrients and proper rest, one may suffer from mental exhaustion, and in severe cases mental fatigue. The brain receives its energy as glucose through the blood vessels. It is used in the production of a particular chemical called adenosine trip-hosphate, which is the main source of energy for the nerve cells to perform their functions. The influence of proper diet, exercise, sleep and general health conditions upon the brain, and its energy consumption, is still under investigation. However, studies suggest that they improve brain efficiency and thereby contribute to active memory. Some findings indicate that a sugary diet may temporarily boost brain's energy levels and prevent mental exhaustion. Certain activities like listening to music or watching a good movie do not cause fatigue, whereas difficult tasks such as taking a test, doing an unpleasant routine, or keeping a night watch may. Certain factors such as aging, illness, stress, cardio vascular diseases, and hormonal imbalance may have adverse effect upon the brain functions and impair its ability to perform at optimum levels. Therefore, for optimum brain function and good memory, we have to protect our health by taking preventive actions. Since our memory is consolidated in sleep, it is necessary to give adequate sleep and rest to our bodies, and keep them free from stress. Studies also suggest that certain chemicals, which contain cholesterol, sugars, fats, salt, and toxins in large quantities are harmful to the brain, as they may interfere with its functions. However, foods that are rich in antioxidants (vitamins C and E, and beta carotene), foods that contain B-vitamins (niacin and folic acid), and foods having sufficient amounts of omega 3 fatty acids are likely to improve the activity of the brain and reduce the memory problems caused by aging. Protein rich foods are also beneficial to the brain, as they contain serotonin, which creates pleasant feelings in the mind and increases our ability to fight feelings of depression. By nature, the human mind is always active and subject to instability and frequent disturbances caused by both internal and external factors. Even in sleep, a part of our brain remains active and keeps functioning, either firing up the nerve cells or recording information and dream activity. Many genetic and environmental problems play a role in shaping our behavior, perception, cognition and mental health. A lot of what we see, think, experience, and remember, depends upon what mental states we experience in a given situation and how we interpret them. If we are not happy or preoccupied with any problem, we may not allow our minds to perform at their optimum levels, and we may miss a lot of information that is relevant to our lives. Negative emotions, such as fear, anxiety, anger, and depression, greatly reduce the brain’s ability to process perceptions and retrieve memories. The various emotions we experience release chemicals into blood stream, which directly affect the memory functions of our brains. Negative thinking, pride, fear, anger, prejudice, critical nature, envy, carelessness, apathy and depression interfere with our ability to process and store information in our minds, whereas certain qualities such as happiness, joy, openness, appreciation, humility, enthusiasm, compassion, interest, and curiosity, enhance our ability to learn and remember. If you are mentally peaceful and stable, keep your mind active and alert with mental work or exercises, do meditation and concentration, use positive affirmations, and remain in a positive state of mind, it helps you to build good memory and remain healthy and mentally active for long. The way you live and the choices you make in your life to achieve your goals or to avoid them shape both your mental wellbeing and physical health. Certain lifestyle choices hinder our growth, while some contribute to it. Some people acknowledge the problems arising from poor memory, but do not show enough interest or enthusiasm to deal with it. They keep forgetting important dates, details, names of people, appointments, deadlines, where they kept their car keys or the house keys, or whom they met, but do not try sincerely to improve their behavior. In the present-day world we have externalized our memories greatly by storing a lot of information in gadgets and applications. While it may help us to reduce the complexity that we have to deal with every day, it is still necessary to keep our minds and brains active and remember certain vital information. When our knowledge and intelligence are inadequate to deal with difficult or awkward situations, it is still important to rely upon the hidden potential of our minds or brains to act spontaneously or intuitively with presence of mind. We have the potential to improve our memory skills, with effort, by making healthy choices, and by knowing how our brains manage and organize information. However, we cannot do it by focusing just upon memory or a few functions of the brain. The brain is a part of the body and cannot function by itself. Therefore, we need a holistic approach to deal with the problem of memory from a wider perspective, considering the strengths and weaknesses of both our minds and bodies, and finding common solutions. We have to go even beyond, and look at the lifestyle choices we make and the kind of lives we lead to secure the things we cherish and love. Your physical and mental wellbeing is largely the result of the lifestyle choices you make. You cannot accomplish through your mind what you do not practice or follow in your life. A disciplined life is the basis of a disciplined mind. An organized life leads to an organized memory. A mind that is active and engaged in intellectual activity is better poised to remain healthy and possess good memory. Thus, when you practice discipline and self-control in your life, you will reflect those values in your thinking and actions. If you are careless, disorganized, lack interest and enthusiasm, or spend your time in frivolous activities, your mind will reflect those qualities in your thinking and actions. Therefore, to improve your memory you have to bring order and discipline into your life and follow a holistic approach. In this regard, you may use the following suggestions. Organize your life and activities. Organize the things that you use. Take responsibility for your life and actions. Organize your life around long term and short term goals, and achieve them by sticking to your plans. Cultivate good habits that improve your mental and physical health. Develop a genuine interest in the world and the people you interact with every day. Pay attention to your experiences and interactions, and learn them. Focus upon improving your memory skills. In many ways, your mind works like a computer. Your ability to remember and recall depend a lot upon the information you have stored there, how you stored it and how frequently you use it. Therefore, you should make a conscious effort to improve your memory, by knowing how your brain functions and how you can improve its ability to respond to your requests for knowledge and solutions. To have a good memory, you are not required to remember everything you learn, recall large lists of numbers, facts or names, or tax your brain with unnecessary information. You need it to empower yourself, and feel good about your ability to perform tasks, reach goals, solve problems, and respond to situations that arise in your life. You need it to boost your self-confidence and avoid frustration and negativity. For example, there is no need to remember all your contact details or telephone numbers when you can use an organizer or an application, so that you can use your mind to perform better executive functions such as thinking, decision making and problem solving. You may still need to remember some vital information, for which you may practice memory techniques. If you are a salesperson, you must remember the information that is pertinent to the products you sell. If you are a physician, you must remember the knowledge, which is necessary to diagnose health problems and provide right solutions. If you are a priest, you must remember the knowledge of your scriptures and important rituals. In short, if you organize your life and your mind efficiently around your main goals and use discretion to cultivate good memory, it will help you to achieve maximum efficiency and success in your life.